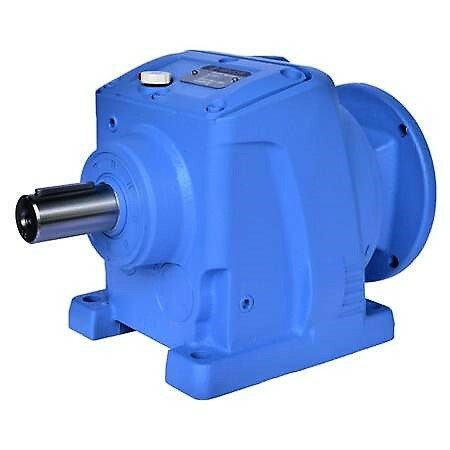 “WINL series” inline helical gear reducers feature a HP range of ¼-100 HP, 37-147 mm box sizes, 2:1-120:1 speed ratios and a cast iron housing for unquestioned strength and reliability. Offered in a variety of NEMA C-face quill style motor input flange configurations, the “WINL” series allows users to easily locate off-the-shelf NEMA motors in lieu of custom gear motors with special first pinion gears. WINL’s bolt hole pattern, base to center line height, output shaft diameter and usable shaft length match the “R” series of the inline market leader making plant retrofitting a breeze.